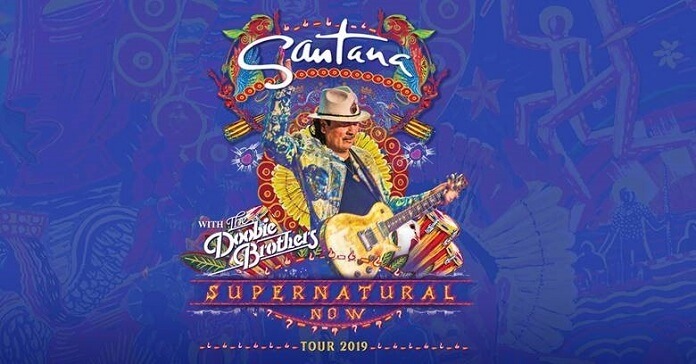 Carlos Santana will be hitting the road for the “Supernatural Now” tour beginning on June 22, 2019 in Phoenix, Arizona. The just-announced tour is a celebration of the 20th anniversary of his Grammy Award-winning album, Supernatural, and of his performance at Woodstock 50 years ago. “Both were monumental moments in my life. Woodstock and Supernatural took me to places I never dreamed were possible. I embraced those incredible moments in my life with all my heart. Both were supreme lessons in maintaining focus, heart and integrity in every step every day and to strive to better oneself with a high standard on and off the stage. I cannot think of these two moments without thinking about Mr. Bill Graham and Mr. Clive Davis. They are two of many angels in my life that helped shape my career,” said Santana. Santana plans a 29 date tour spread out over three months. Stops will include San Diego, Chicago, Seattle, Detroit, and Boston. The tour will finish up on August 25th at the Northwell Health at Jones Beach Theater in Wantagh, New York. Fans can expect performances of Santana’s greatest hits including tracks off of Supernatural and songs from the Woodstock era. Santana will also be playing new songs off In Search of Mona Lisa, his new EP set to drop on January 25th. The Doobie Brothers will be joining Santana on all of the “Supernatural Now” tour dates. “We look forward to sharing the stage with Santana and have an incredible set lined up for audiences. It’s going to be a great tour,” stated The Doobie Brothers. Tickets will go on sale to the general public beginning January 25, 2019 via LiveNation.com.